Lovemuffin, you make my heart beet faster. Muffin compares to you. Seriously! 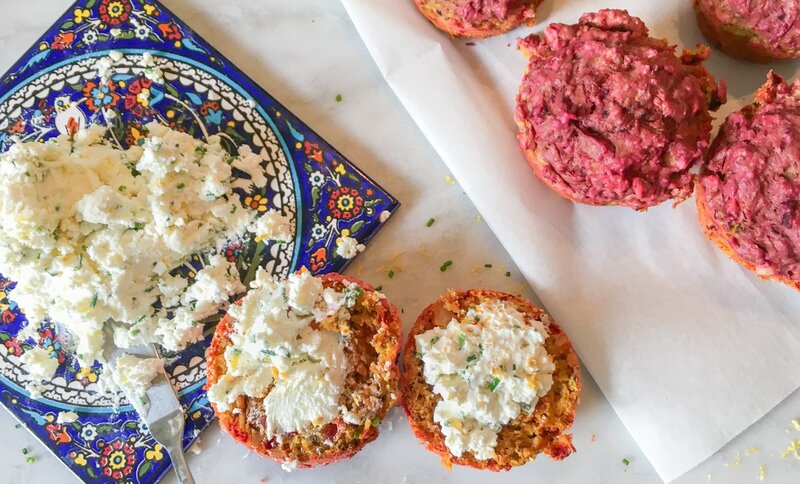 These muffins have beets, walnuts & rosemary with an earthy flavor and texture. Pair it with chive and lemon infused goat cheese, and you’ll swoon! You’ll need butter and a bit of grated Parmesan cheese for lining the muffin pan. Prepare the muffin pan by greasing each cup with a tiny bit of butter and then sprinkling a pinch of Parmesan cheese on the bottom. Sift the dry ingredients together: flour, baking powder, baking soda and salt. Fold the walnuts and rosemary into the dry ingredients and set aside. Mix the wet ingredients: egg, buttermilk, melted butter. Squeeze out any excess liquid from the grated beets and combine into the wet ingredients. Carefully mix both wet and dry ingredients until just until combined. Spoon the batter into the prepared muffin pan and bake about 20 minutes. Allow to cool slightly and serve with goat cheese butter. Wake up your Crumpet with these morning muffins and a Hipcooks Gift Certificate for 2! 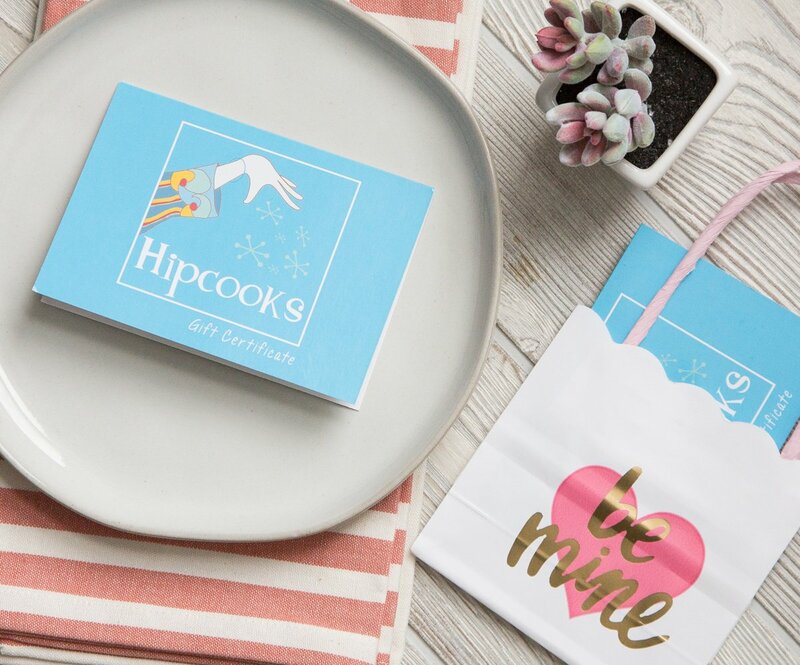 Our Gift Certificates never expire & if your Snugglebunny is well, shall we say, challenged in the kitchen, then Hipcooks is a super-fun way to inspire & engage. Hipcooks students love to practice on their Best Beloveds, so it’s a win-win for you, Angel Face!